Z06Vette.com - Corvette Z06 Forum > Vendors > CARiD.com > Get more horsepower and torque with Volant Intakes + New Rebate! Volant is one of those brands, that always stays at the forefront of the performance improvement technologies. Volant seals conical, high-flow air filter into a box that provides more air than factory units. 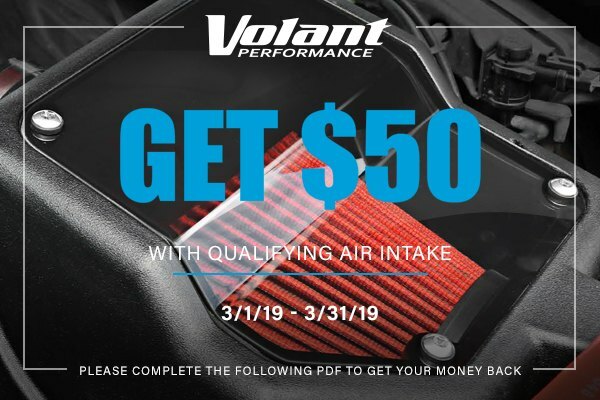 Purchase high-quality Volant Air Intake for your Corvette and get a $50.00 rebate check. Hurry up, the offer expires on March 31st, 2019. Please follow the instruction in the PDF form to get your money back.